Chlorinated Plus is an ultra heavy-duty, strong alkaline, high foam, concentrated degreaser, fortified with bleach. 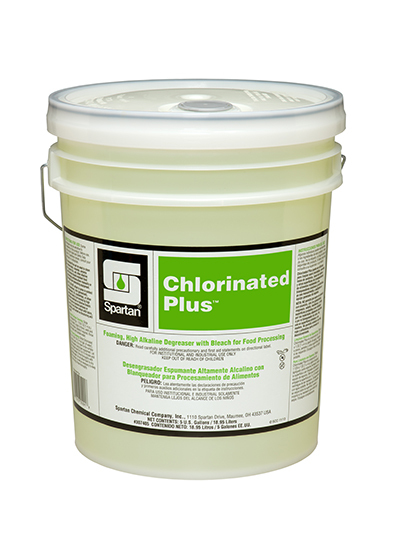 Chlorinated Plus is formulated for heavily soiled food processing surfaces and equipment contaminated with animal fats and oils, blood stains, and other baked on carbonized soils. Chlorinated Plus may be used in meat, poultry, seafood, and other food processing industries.